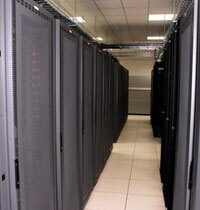 CSS provides data center design/build and installation services. Whether you are looking to install a new data center or to expand, upgrade or relocate an existing one, we can help. We have the experience and expertise to provide you with a reliable, flexible data center, server room or telecom wiring closet to meet your organization's current needs as well as long-term operational goals-on time and on budget.